The Marvel gang is all here. This week, Netflix released a new poster for their upcoming TV show Marvel’s The Defenders. The drama will see all four of Netflix’ Marvel series superheroes—Daredevil, Jessica Jones, Luke Cage, and Iron Fist—team up to save New York City. The cast includes Charlie Cox, Krysten Ritter, Mike Colter, Finn Jones, Rosario Dawson, Elodie Yung, Elden Henson, and Sigourney Weaver. 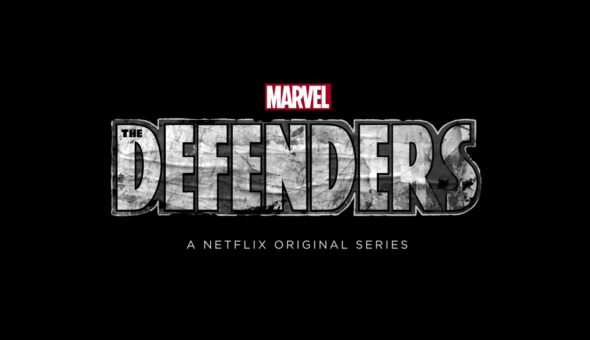 Marvel’s The Defenders premieres on Netflix on August 18th. 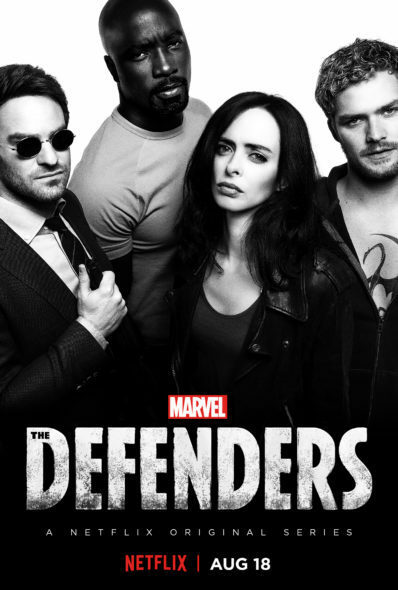 Marvel’s The Defenders which premieres globally on Netflix on August 18, 2017 at 12:01am PT follows Matt Murdock/Daredevil (Charlie Cox), Jessica Jones (Krysten Ritter), Luke Cage (Mike Colter) and Danny Rand/Iron Fist (Finn Jones), a quartet of singular heroes with one common goal – to save New York City. This is the story of four solitary figures, burdened with their own personal challenges, who realize they just might be stronger when teamed together. The series follows the releases of Marvel’s Daredevil , Marvel’s Jessica Jones, Marvel’s Luke Cage and Marvel’s Iron Fist. What do you think? Are you a fan of Netflix’s Marvel series? Will you watch The Defenders? More about: Marvel's The Defenders, Marvel's The Defenders: canceled or renewed?, Netflix TV shows: canceled or renewed?